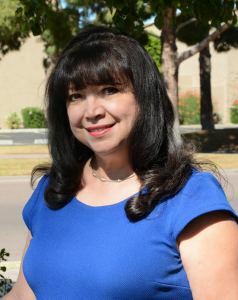 Linda Mazon Gutierrez serves as the President CEO of the Hispanic Women’s Corporation (HWC) which hosts the largest gathering of Latinas in the nation. HWC programs focus on scholarship, leadership and professional development of women and middle and high school students in the areas of financial literacy, education, healthy living & disease prevention, and small business development. HWC strives to reshape the future that lies ahead for the Hispanic community by improving access to a college education. Since 2006, Linda and HWC have successfully partnered with the Maricopa Community Colleges ACE (Achieving a College Education) program and have come together to provide college scholarships for ACE graduates. Linda served as the congressional and state legislative liaison on health care issues for the State of Arizona Health Care Cost Containment System for 25 years and prior to her retirement in 2007 from state government, served as the liaison to the National Governor’s Association in Washington, D.C. managing and briefing the governor and chief of staff on national and state issues regarding health and immigration. Linda Mazon Gutierrez is married to former Senator Jaime Gutierrez. They have four children Frank, Alexis, Jaime and Christopher.